The annual Bakersfield Memorial Hospital Foundation dinner was held last night. Members of our board and their guests were in attendance along with our friends from Panda Express. 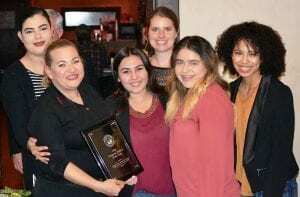 Panda Express received the prestigious Corporate Partner of the Year award. Panda Express has been supporting the Lauren Small Children’s Center through the Children’s Miracle Network (CMN) program since 2007. Since then, Panda has raised more than a half a million dollars to help local children. In 2017 alone, Kern County Panda Express restaurants raised more than $168,000 and was the #1 CMN fundraising partner for the Lauren Small Children’s Center. To say that we are grateful for Panda’s support would be an understatement! Zachary and family want to say, Thank you Panda Express!